When time is limited or weather is sketchy, I appreciate having Commonwealth Lake close to home for a quick birding fix. Early in the morning, River Otters will often visit the lake to fill up on fish. 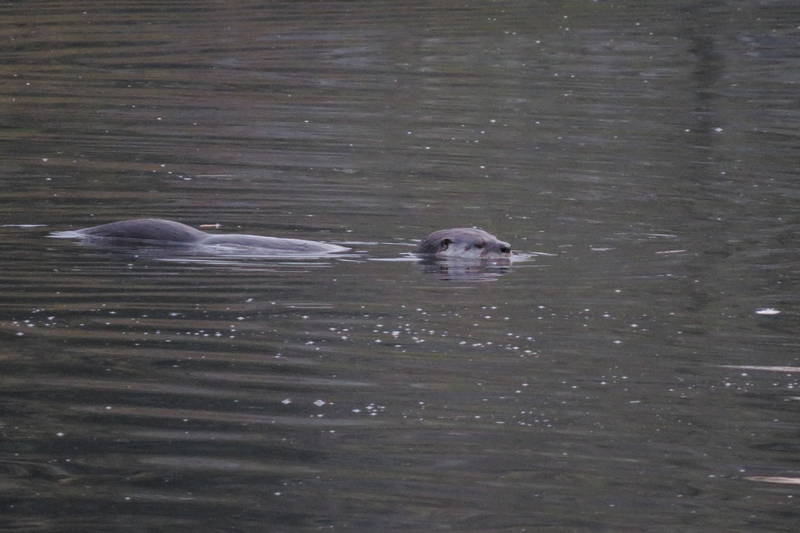 There were three otters present on this visit, but they stayed out in the middle of the lake most of the time. 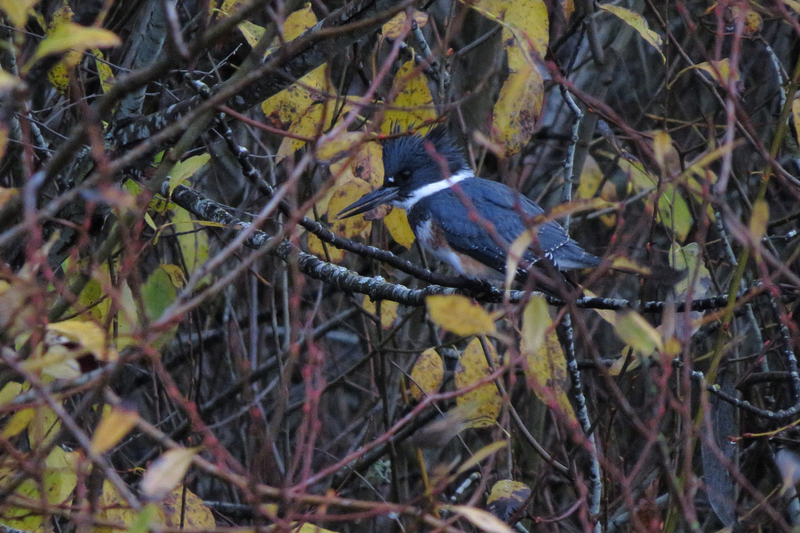 This Belted Kingfisher called from the tangled branches that overhang the water. 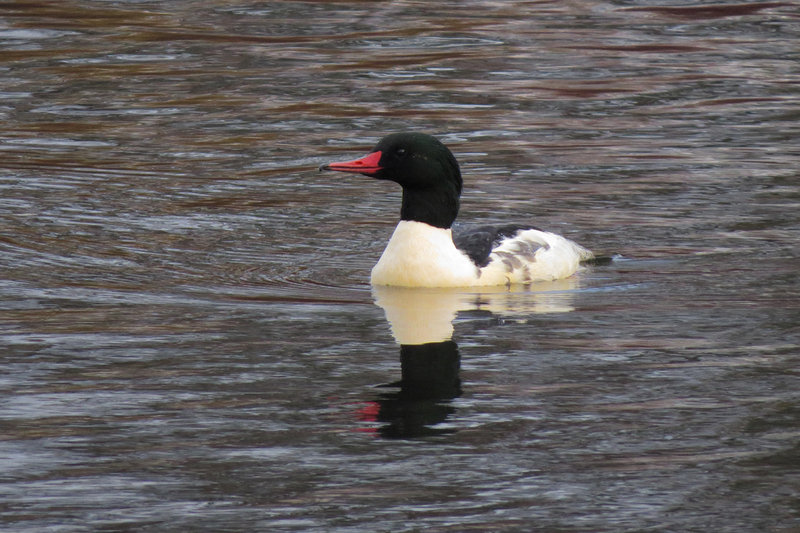 Male Common Mergansers lent a splash of color with their red bills. 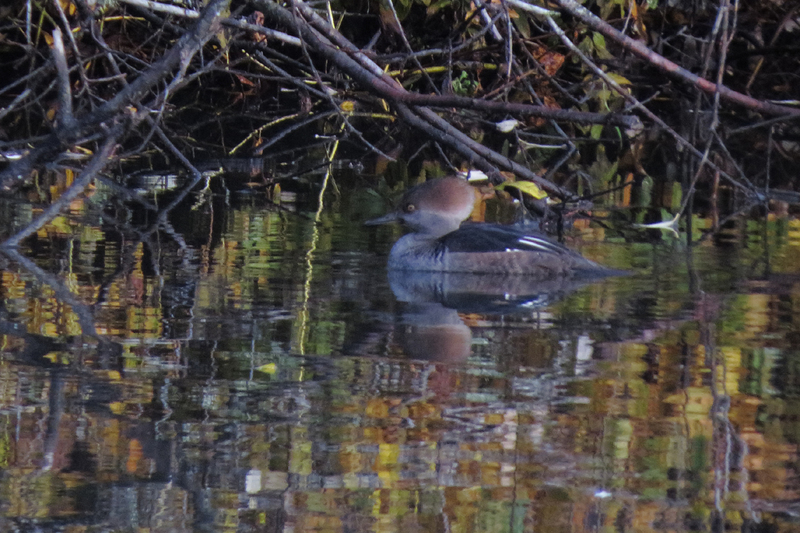 This female Hooded Merganser kept to the far shore. 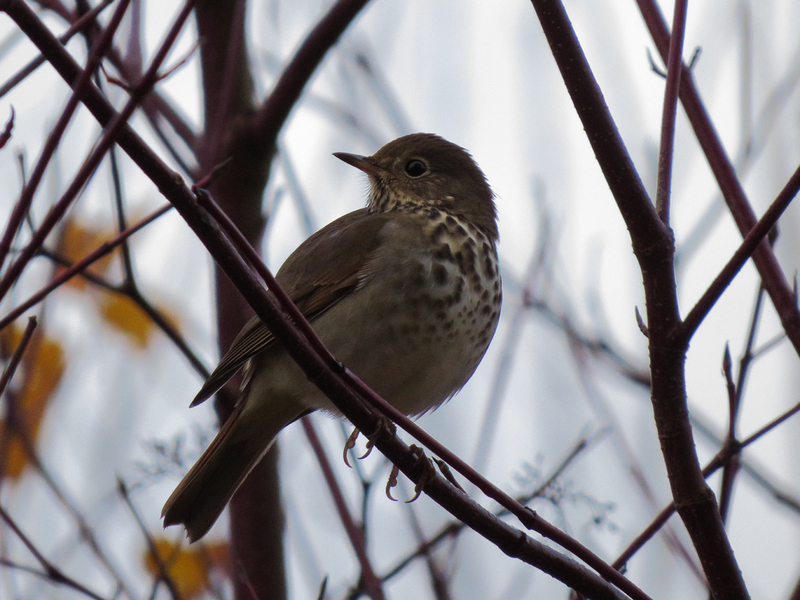 Some of the dogwoods still had a few berries, and this Hermit Thrush was taking advantage of this seasonal food. 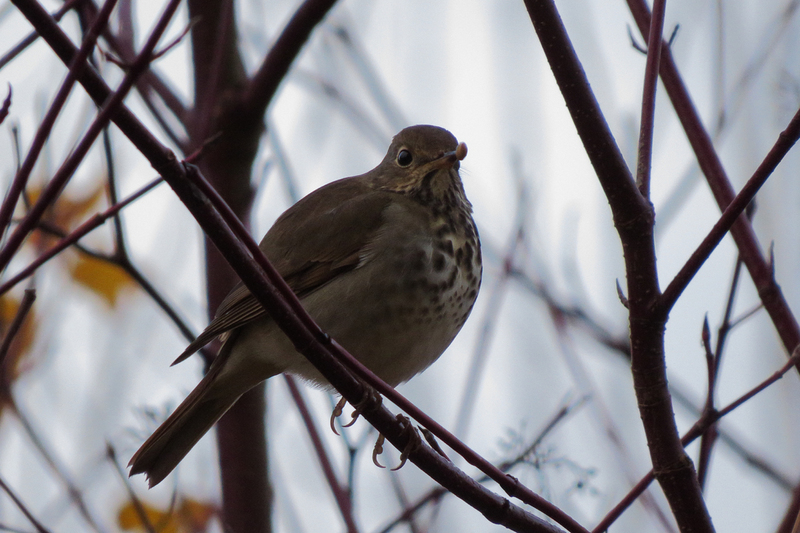 It was a treat to see this species sitting out in the open, rather than skulking in the undergrowth. So nothing too exciting this trip, but it is enough to ward off insanity/crankiness until the next outing. This entry was posted in OR Birding Sites and tagged Belted Kingfisher, Common Merganser, Commonwealth Lake, Hermit Thrush, Hooded Merganser, River Otter. Bookmark the permalink. Thanks for reminding me that I need to visit here more often. I live just a couple of blocks from Commonwealth Lake and I really should spend more time there, especially in the winter.